What began as one book has grown into the acclaimed Setting Boundaries series. 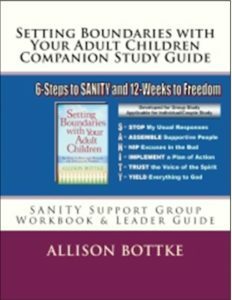 Click on image above for SANITY Support product information. Why can we not find a beginners meeting or a support group, to bring us together with other parents in pain? I will be in marco island florida for 8 months are there any meetings in that area or naples.